I’m currently partnering with Flatout Flatbread’s line of healthy bread to create a few recipes. And since Flatout Flatbread is the only flatbread endorsed by Weight Watchers, all of the recipes I create will have a Weight Watchers Smartpoints® total included. 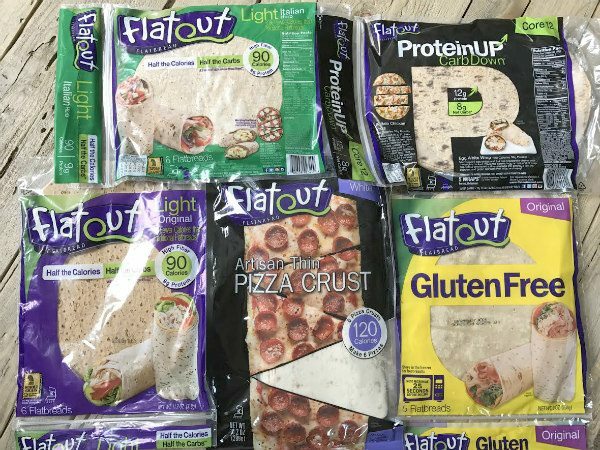 Flatout Flatbreads are located in the deli/bakery section of most major grocery stores, and they are all 2 to 4 SmartPoints® each. Even if you’re not following Weight Watchers, this line of flatbread is a good choice for creating quick and easy meals… and the calorie counts are low on all of them. 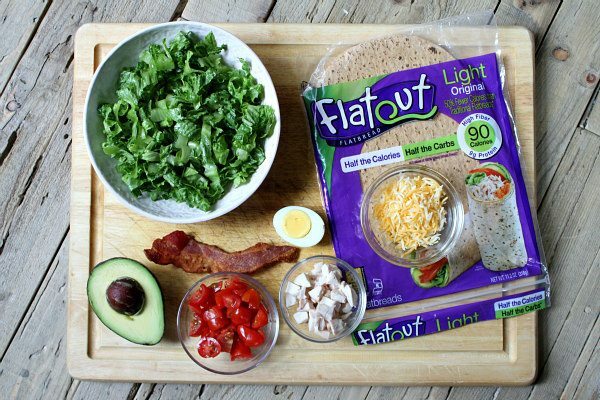 I chose to use the Flatout Flatbread Light for today’s salad recipe. I tend to watch my carbs, so I was happy to find that this variety has half the carbs than the original. 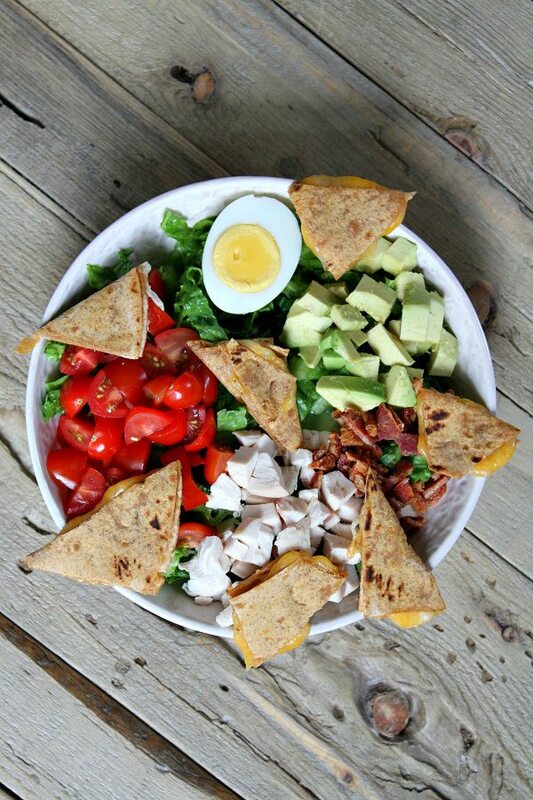 Since spring is best known for cleaning out anything and everything, it’s time to clean out the fridge and use those leftovers to make a lightened-up Quesadilla Cobb Salad. You’ll need chopped lettuce, tomato, avocado, chopped chicken, one slice of bacon and a hard boiled egg. 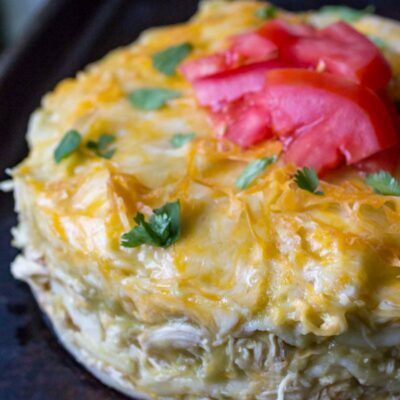 For the quesadilla part of the salad, you’ll need Flatout Light and a bit of reduced-fat shredded cheese. 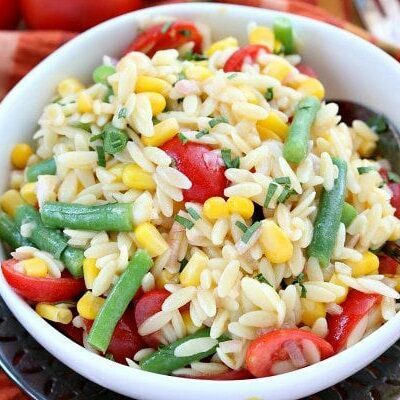 The salad itself is quite hearty with plenty of protein and veggies to keep you feeling full. The Flatout quesadilla bites add a small measure of indulgence, acting as cheesy “croutons” to an already substantial and satisfying salad. 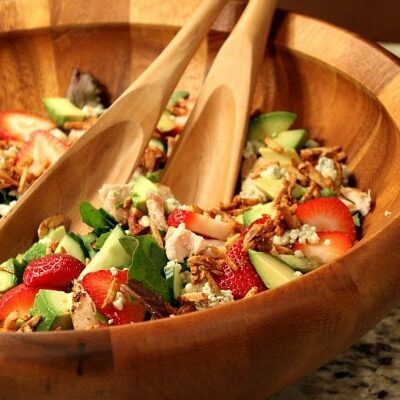 The dressing is a very simple homemade strawberry- balsamic vinaigrette. This meal computes to 6 Weight Watchers Freestyle SmartPoints or 9 Weight Watchers OriginalSmartpoints® per serving. I eat salad almost every day for lunch, and this is one of my new, lighter go-to meals. 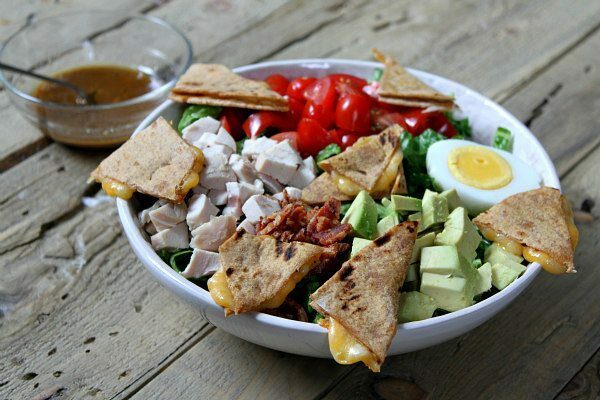 Prepare the dressing: In a small bowl, whisk together all dressing ingredients. Set aside. In a medium salad bowl, sprinkle in the lettuce. 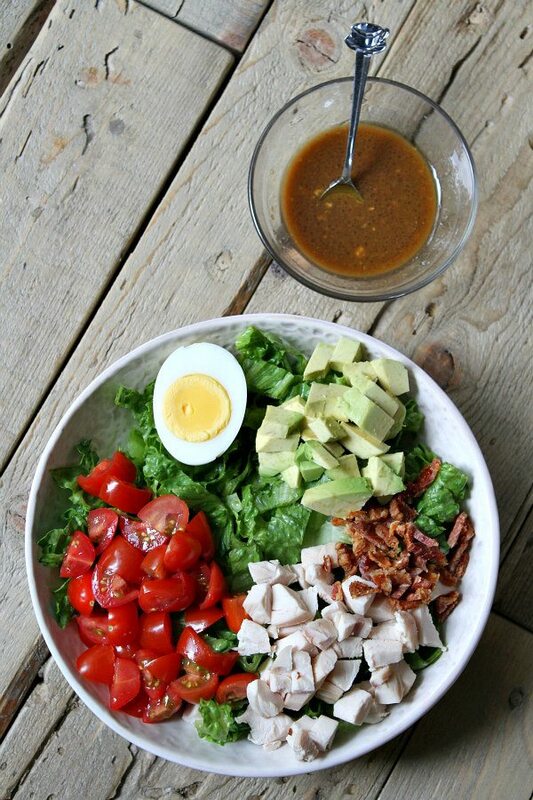 Arrange chicken, bacon, egg, avocado and tomato on top. Spray a medium skillet with nonstick spray and heat to medium. Place on piece of the flatbread in the skillet and sprinkle cheese on top. Top with the other piece of flatbread. Heat until cheese is melted and flatbread is toasted. Flip and toast the other side. Remove to a cutting board and slice into small wedges. 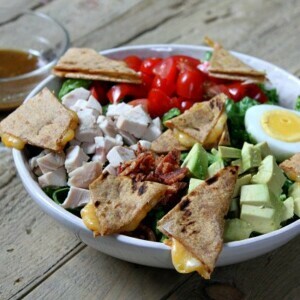 Drizzle salad dressing onto the salad and garnish with quesadilla wedges. This recipe computes to 6 Weight Watchers Freestyle SmartPoints® or 9 Weight Watchers Original Smartpoints® per serving. 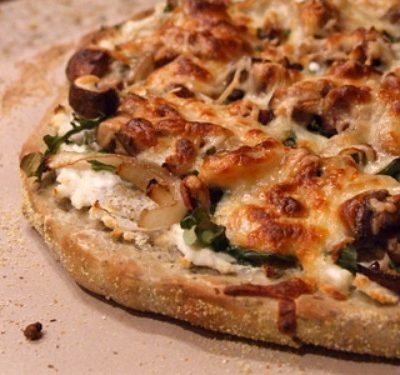 Disclosure: This recipe was made in partnership with Flatout Flatbread. This is a product that I know and use in my kitchen. All opinions shared are my own. This salad looks so yummy! I’m craving salad now. I love everything about this yummy salad! Definitely making it for lunch this week! Thanks for sharing my spinach feta egg white wrap! Can’t wait to try this yummy salad!